An EMF Testing, also called an EMF Measurement Survey, is a non-invasive assessment of the electromagnetic fields present within a residential or commercial property. It involves a systematic method of measuring and recording non-ionic radiation emanating from the Earth and various human-made technologies. Measurements are monitored and recorded during a relatively brief moment in time or data-logged over a longer designated period. How did we come up with the name Elexana? When AC fields couple with our bodyâ€™s DC field, the electrical circuits on our skin experience EMI electromagnetic interference. With our Galileo Protocolâ„¢, we measure this phenomenon. Often, itâ€™s an increase of up to 60 KHz (thatâ€™s 60,000 Hertz) and beyond! Add a strong AC voltage to the skin from handling a charging iPhone (about 6 Volts), an electric bed (about 7 Volts), or placing a charging laptop on your lap using a 2-pronged plug (near 40 Volts!) and the 1,000-100,000 Î© (ohms) resistance of the skin quickly becomes violated by this biologically unnatural force. The internal resistance of the body is about 300 Î©. So, once beyond the epidermal and dermal layers, these AC currents bringing high transient frequencies can travel to wherever they can locate a negative charge. (Electricity flows from positive to negative.) Yes, thatâ€™s potentially any healthy cell or organ!We believe that the best start to healing from any illness is to reduce your exposure to EMF, electromagnetic fields. At ELEXANA, this is just one reason we are so passionate about our work. THE FIRST STEP TO SOLVING ANY PROBLEM IS TO ASK THE RIGHT QUESTIONS. WHEN IT COMES TO YOUR HEALTH, THE FIRST QUESTION WE ASK IS, "WHAT'S CAUSING YOUR BODY'S CELLS TO LOSE ELECTRONS?" ...but, why does stress kill? Stress, no matter the source, provokes cells to emit or relinquish electrons thereby decreasing their charge or life force. With the loss of electrons, cells will begin to experience oxidative stress and their potential to bond with hydrogen ions will decrease, thus lowering their pH. A lower pH naturally implies becoming more acidic and even worse: inflamed or destroyed. These include plastics, pollutants, pesticides, GMO foods, lead-based paints, asbestos, cigarette smoke, etc. These include certain foods such as bleached white flour, artificial sweeteners, corn syrup, sugar, alcoholic drinks, processed foods, fried foods, etc. These include uranium, plutonium, radon, and non-ionic radiation created by; radar, microwaves, WiFi, mobile phones, cell tower transmitters, home appliances, power lines, laptops, fluorescent lighting, incorrect home wiring, stray neighborhood voltage, power tools, and more. Although caused by one of the previous factors, insomnia can become a self-perpetuating stressor. ...COMBINED WITH OUR KNOWLEDGE OF THE BODY'S BIOELECTRICAL SYSTEMS, WE PRESENT SUSTAINABLY NATURAL HEALING PROTOCOLS FOR A WIDE RANGE OF HEALTH ISSUES. WITH MORE THAN 3,700 STUDIES PROVING THE HARMFUL HEALTH EFFECTS OF EMF, WE ALL NEED TO MINIMIZE THE SIZE AND INTENSITY OF THE ELECTROMAGNETIC FIELDS IN OUR ENVIRONMENT. THESE ENERGIES HAVE A DIRECT EFFECT ON YOUR WELL-BEING. Cleaning up the electromagnetic fields in your living space should be considered as essential as basic hygiene. With reduced exposure, you will become more energetic, calmer, sleep better, think clearer, heal faster, and grow stronger and healthier.Every chemical reaction in your body is a result of the coming and going of electrons. 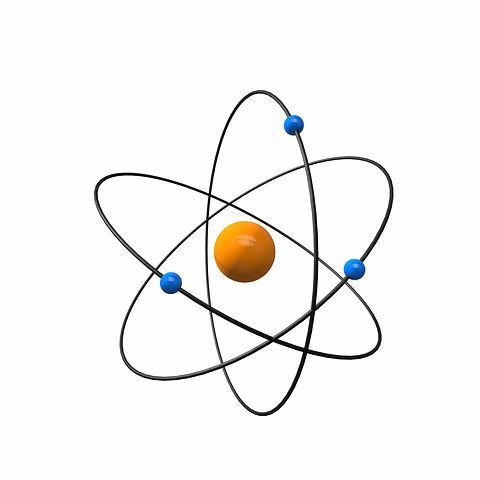 The electrons in every cell of our bodies provide the spark that give us life. Cleaning up the electromagnetic fields in your living space should be considered as essential as basic hygiene. With reduced exposure, you will become more energetic, calmer, sleep better, think clearer, heal faster, and grow stronger and healthier. Insomnia, immune disorder, GERD, leukemia, lymphoma, brain and nervous system tumors, acoustic neuroma, melanoma, breast cancer, breast cancer medications rendered ineffective, neurological disorders, autism, fatigue, dry eyes, compromised blood-brain barrier, leaky gut syndrome, acid reflux, tinnitus, an uncomfortable feeling of heat or pressure inside the head, migraine headaches, low sperm count, low sperm motility, infertility, miscarriage, birth defects, chromosome breaks, suppression of DNA mechanisms, DNA mutation, mitochondrial damage, sensitivity to noise, damaged placenta, burning skin sensations, short-term memory loss, confusion, concentration problems, brain fog, brain damage, nausea, vertigo, increased heart rate, high blood pressure, high triglyceride levels, heart arrhythmia, ADD, ADHD, learning disorders, depression, fibromyalgia, chronic fatigue syndrome, adrenal failure, unexplained rashes, muscle weakness, muscle pain, inhibited calcium ion mobility, premature cataracts, weakened intestinal lining, weakened placenta, mood swings, irritability, slow reflexes, weak immunity, and more. Itâ€™s our sincere hope that someday everyone will understand the significance that human-made electromagnetic radiation and environmental toxicity have on our well-being, our planet's equilibrium, and the health of future generations. We encourage you to take the necessary steps towards limiting your exposure and supporting sustainable ecological technologies that are truly viable and safe. Education is one of the most valuable gifts we can share. Let's teach our children, by example, the consciousness and consideration for each other and our environment which we all need so much today so that we may leave a better world for future generations.